Alia was on the stage and Ranbir was sitting among the audience when the actress confessed her feelings for him in front of all. Actor's cheeks turned red immediately. Actors Alia Bhatt and Ranbir Kapoor finally announced their relationship to the world, in front of everyone, at the Filmfare Awards 2019. The two lovebirds won the Best Actor trophy for their performance in their respective films Raazi and Sanju. 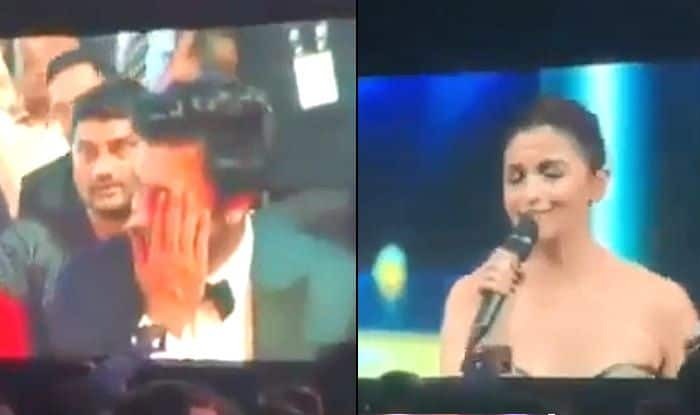 When Alia went on the stage to collect her black lady, she mentioned Ranbir in her acceptance speech. She called him her ‘special one’ and then said ‘I Love You’. These two seem so comfortable in each other’s presence and their relationship that there’s no hint of awkwardness despite Deepika Padukone’s and Katrina Kaif’s presence at the same event. Both the actresses share their past with Ranbir, however, their relationship with Alia is quite cordial. While Ranbir, Alia and Deepika sat together in the front row, Katrina seemed to have avoided bumping into him.